Recently I was encouraged as I read Joseph Stowell's account of a moving story from the 1800's in his excellent devotional book, Strength for the Journey. He related how the Prince of Preachers, Charles Haddon Spurgeon, had been preaching a series of meetings in Bristol, England hoping to raise money for his orphanage back in London. The week was drawing to a close and Spurgeon had already reached his goal of £300. He was thrilled with the response but couldn't sleep that night. God prompted him to give the money to George Muller to help with his orphanages right there in Bristol. "But Lord?" No, Spurgeon felt he must go to see Muller. Arriving at Muller's home he found George on his knees in prayer. Spurgeon handed over the £300 and Muller acknowledged that he had been seeking God for that exact amount. They embraced and marvelled at the provision of God. 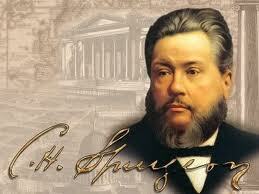 Upon his return to London, Spurgeon found an envelope containing £300 plus 300 shillings. God had provided what Spurgeon had passed on to Muller...with interest. As another great servant of God once said, "I shovel out and God keeps shoveling back but God has a bigger shovel." Why do we doubt God's promises to provide? He is Jehovah-Jireh...our Provider. Note: For more encouraging stories about God's provision please visit our George Muller blog here. You will be blessed. God is amazing.... I have met Him as my Provider so many times. Thanks for sharing this. Danny is about to have a baby girl! I'll keep you posted. God provides! I love how, in this account, the one who was faithful to God's prompting and gave, received more in return! What an awesome God we serve! What an amazing God we serve. What is man that God is mindful of us? Thank you for sharing David!